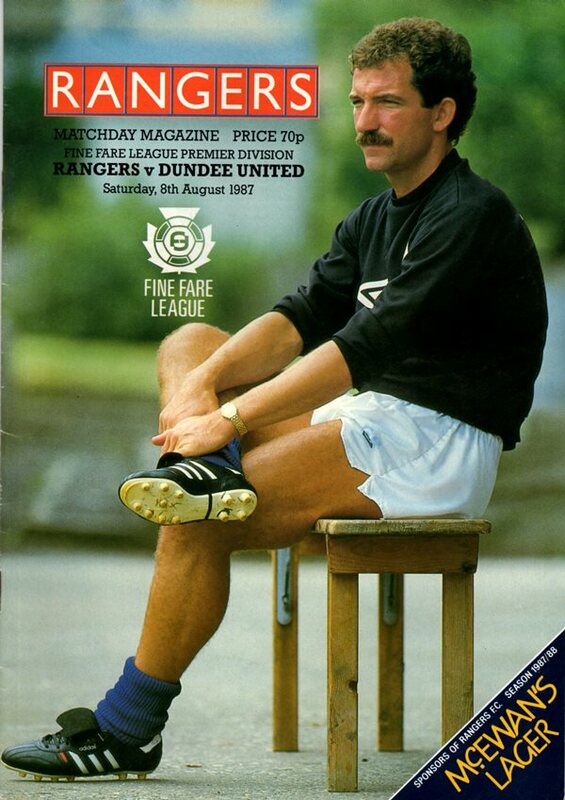 Hamish was with Highland League side Keith when he signed for United in 1983 but United released him a few days later. 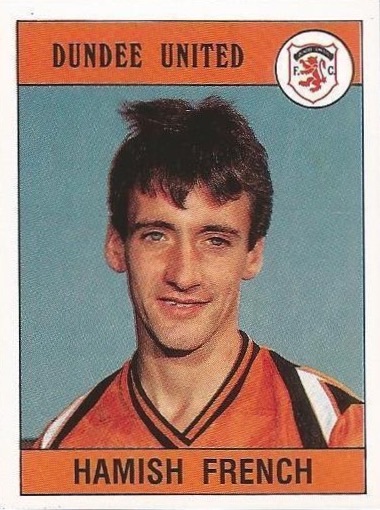 In the summer of 1984 he was back at Tannadice, training with the squad but it was three years later before he signed. His five seasons with United were successful but peppered with periods on the sideline through injury. In the Scottish Cup final in 1991 he collected a runners-up medal. 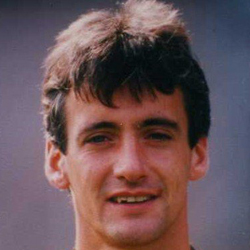 He left to join Dunfermline Athletic in October 1991 for £150,000. Hamish was born on this date in Aberdeen. After the disappointment of Wednesday, this was a heartening performance which brought two thoroughly deserved points. Right from te off we exerted a grip of midfield and in the fourth minute Jim McInally battled to win possession out on the left. His early cross was headed out by Hamilton to Dave Bowman whose first time shot was parried and then held by Money. One of Saints few threats on Billy Thomson came three minutes later with an Ian Cameron shot which had pace but not the direction to beat the United 'keeper. 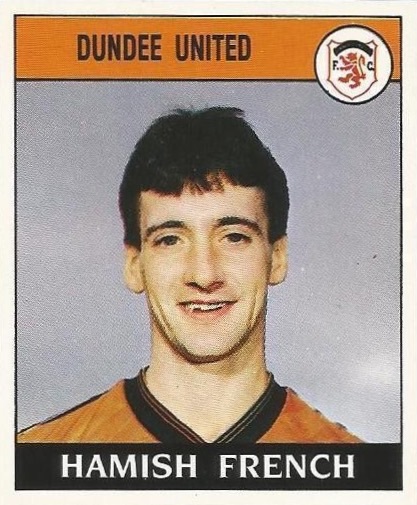 In twenty minutes, Hamish French making a welcome return to action, saw Money block his shot into Iain Ferguson's path but the Paisley keeper saved his follow up effort at the second attempt. The best move of the match brought us our winner in 38 mmutes. 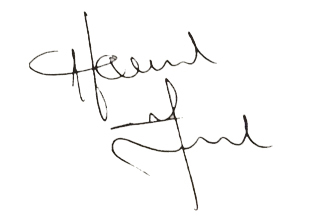 Iain Ferguson found Jim McInally who in turn slipped the ball out to Kevin Gallacher whose early cross was turned past Money by Godfrey under pressure from Hamish French. Four minutes from the interval came Saints best goal effort. Wilson's cross into the box was met by Conroy whose diving header was brilliantly touched round the post by Billy Thomson. Just before half-time a low cross by Jim Mclnally found no takers as it flew across the face of the goal. For this Tayside derby, both sides were forced into making several changes. Saints lost the services of Cherry, Baltacha and Moore due to injury, whilst Duncan Ferguson was a flu-victim and out of the reckoning in our ranks and Hamish French replaced him. John Clark had recovered from the knee injury which had kept him out of the side for the past two League games and he replaced Alex Cleland in defence. Andy McLaren and Mixu Paatelainen were recalled to the attack with Michael O'Neill relegated to the subs bench and Gary Bollan dropping out. So in total there were four changes from the side which had gone down heavily at Parkhead. Saints made full use of the wind advantage they elected to have in the first half with Lindsay Hamilton twice launching punts into the heart of the United penalty area, but Guido Van De Kamp dealt with both very competently. The game sprung into life in the tenth minute when Hamish French set off on a mazy run past 3 or 4 Saints defenders before he prodded the ball home with his left foot from just inside the box. Immediately afterwards we would have scored again but for the timely (or untimely from our stance) intervention of Harry Curran. Again Hamish French was involved. He cut in from the right and switched the ball to the unmarked Billy McKinlay, who rounded Hamilton, only to see his shot saved on the line by his former Tannadice colleague.